Getting a divorce is messy and difficult, but it’s even more difficult when there are children in the mix. One of the issues that gets brought up the most is child support. It’s made more difficult to agree on child support when one parent is the one giving and the other is receiving. 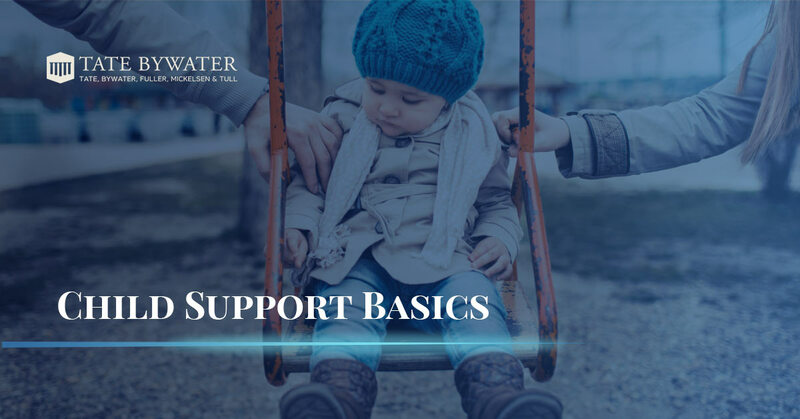 As family law attorneys practicing primarily in Fairfax County we at TATE BYWATER want to make sure that figuring out child support will be is as painless as possible. In a disputed child support case the Court calculates what the paying party is responsible for. Rather than leaving the fate of child support in the hands of a judge, let us find a strategy that is tailored to meet you and your family’s needs. With the help of our attorneys, the results of your child support case will be more predictable and consistent. In a disputed case, the Court takes both parents’ incomes into consideration as well as the amount of time that the kids will be spending with each parent. Here are two relevant child support statutes in Virginia: Code section 20-108.1 and Code section 20-108.2. At our firm we do our best to get you the best results possible for child support while also avoiding costly litigation. If the parties can agree on a child support amount, an order can be filed with the courts with copies mailed to each parent, thereby often avoiding the stress associated with litigating these difficult issues in court. The family law attorneys here at TATE BYWATER have you and your family’s best interests in mind. We strive to provide the most precise and positive results. Call TATE BYWATER family law attorneys today and let us take care of your family law needs.